It starts with smarter questions. Before we turn a single part, we extensively research your product to solve your quality, throughput and downtime problems. We can even run a sample of your material in our lab and factor that knowledge into our design. From tabletop models to warehouse-size machines, we carefully customize our material and design to your specific needs. Our monitors allow you to enhance and repeat your process, fine-tuning for the optimum mixture, temperature and final product. Our consultative approach continues after the sale. We offer an unmatched level of customer support. While most issues can be resolved over the phone, we go to extraordinary lengths to ensure your success. For instance, we sent a technical expert to China to replace a customer’s bushings. 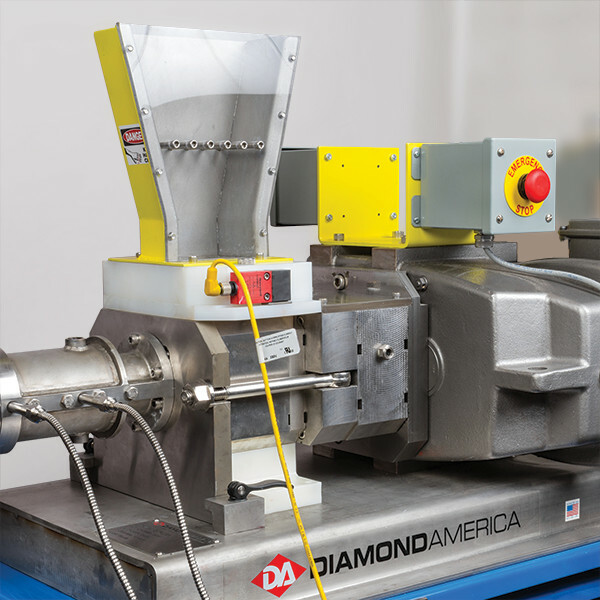 Modular design allows quick disassembly of the barrel, end plate and feed chute from the feed hopper, providing quick cleaning and easier maintenance. Co-rotating twin packers provide consistent material to the feedscrew, allowing for a more uniform flow, greater throughput and less scrap. We customize the barrel material to your product to help reduce costly corrosion and early wear. Have an extruder problem? We just solved three. This pet food manufacturer needed a co-extruded product that contained two separate products in one bite-size dog treat. 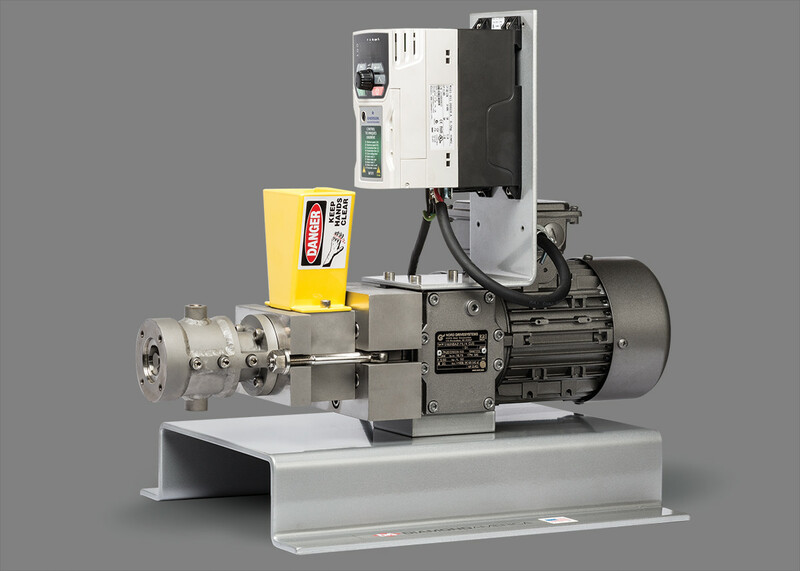 Our solution was a dual twin-feed, single-screw machine with a custom built co-extrusion die and cutter for their process. 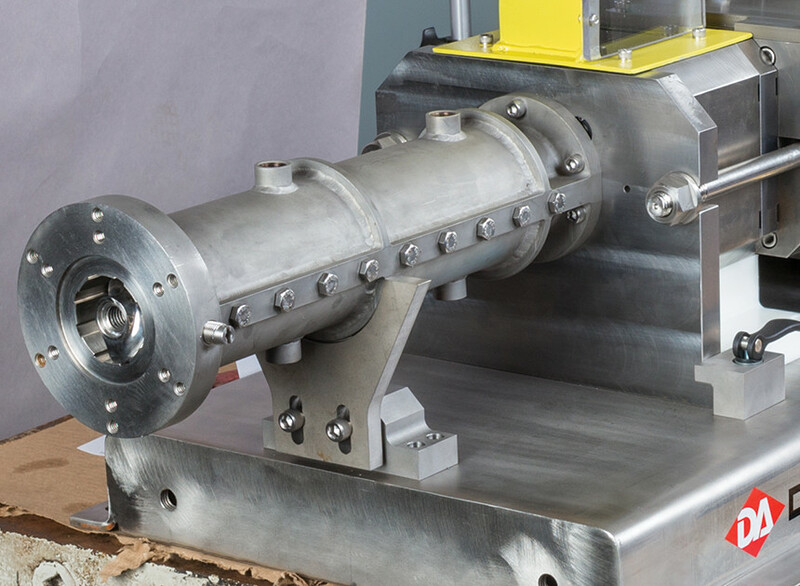 A global fuel giant needed a machine to test ceramic catalysts. We delivered with a custom-designed 2-inch tabletop lab machine equipped with continuously monitoring lab view software, remote operation, a barrel with 4 temperature zones and more. 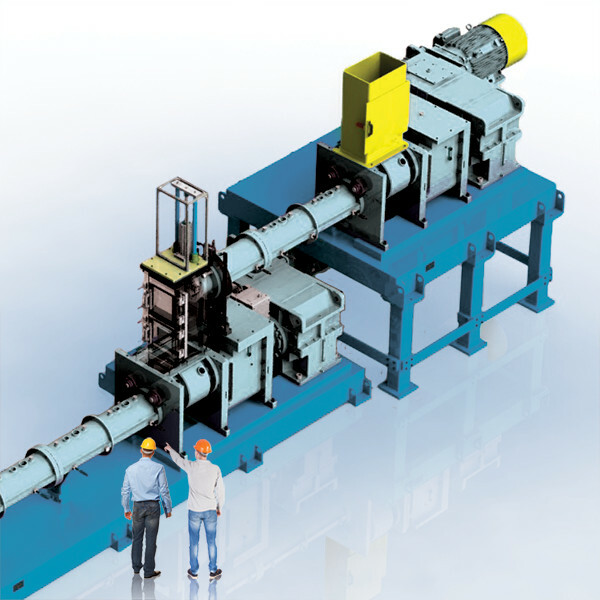 A multinational automotive supplier needed a large, complex extruder. We crafted a two-stage lab machine with a vacuum center unit that let them experiment with different materials and temperatures, then place it directly on the production floor. 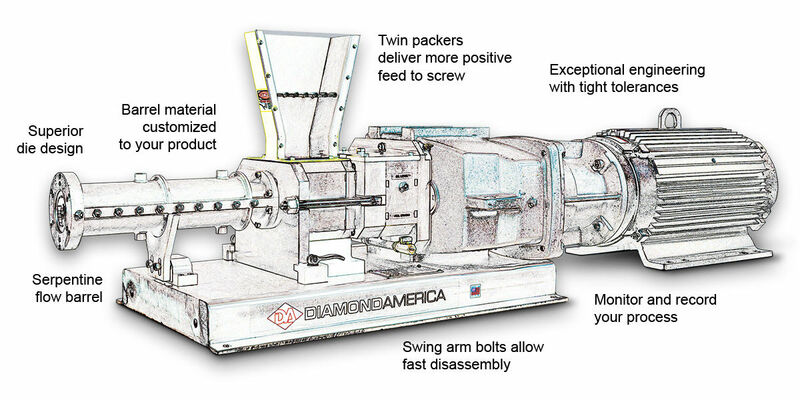 Let’s find a smarter solution to your extruder needs. If you’re wrestling with an extrusion challenge, you owe it to yourself to compare our capabilities. Contact us at 330-535-3330 or [email protected].